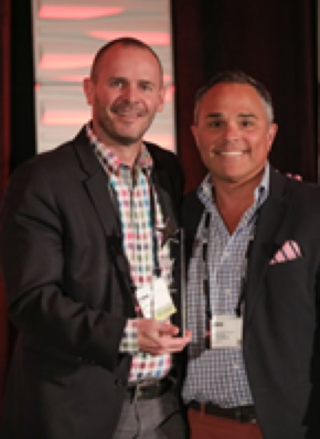 Chris Whitley, President, AV for USAV presents the Star Award to John Riley, Sr. VP Channel Sales, Almo Pro A/V. Almo Professional A/V, North America’s largest professional audio visual distributor, today announces it has received the 2018 Star Award from USAV, a network of ProAV integrators through the U.S. and Canada. The Star Award is based on the results from surveys to USAV members ranking vendors in key areas such as customer service and support; engagement with the channel; engagement and support of USAV; sales rep engagement; product availability; and dedication to education and training. Almo Professional A/V scored the highest in these areas in surveys and feedback from members as compared to other USAV partners.